The company AAT Alber Antriebstechnik (power technology) develops, manufactures mobility aids for passengers with reduced mobility – PRM. As for rehabilitation technology the owners of AAT have more than 25 years of experience in the construction and manufacturing of mobility aids for physically handicapped people. 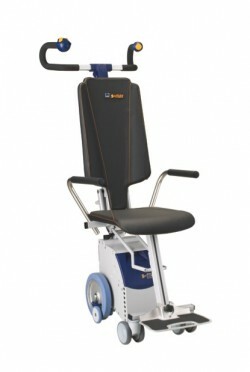 Especially for the handling of passengers with reduced mobility – PRM, AAT developed the motor stairclimber s-max D161 aviation version. The stairclimbers of AAT are in use at more than 150 airports worldwide. 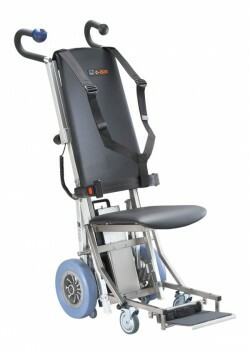 For overcoming long distances and steep airbridges AAT has different pushing and braking aids for transportation wheelchairs in its product range. For example the pushing and braking aid v-max makes it easier for you to drive on slopes thus increasing your radius of action considerably. Going down-hill the v-max brakes automatically which makes your descent safer. Thus you gain in mobility and security. 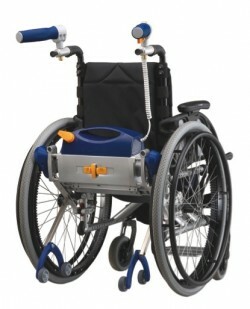 The v-max can be mounted to virtually all wheelchairs from a seat width of 36 cm and more. The s-max sella aviation is the ideal solutions for aircrafts with integrated stairs, for example business jets, in which case you take the stair climber with you aboard. The perfect device to overcome long distances and steep airbridges. The c-max aviation is designed for professional use in big and medium sized airplanes. With a climbing height of 22.5 cm it can be used on all current gangways. Persons with reduced mobility can be transported safely and virtually without physical effort from the airfield to their seats in the airplane.